Towpath Users Survey – A BIG Thank you! 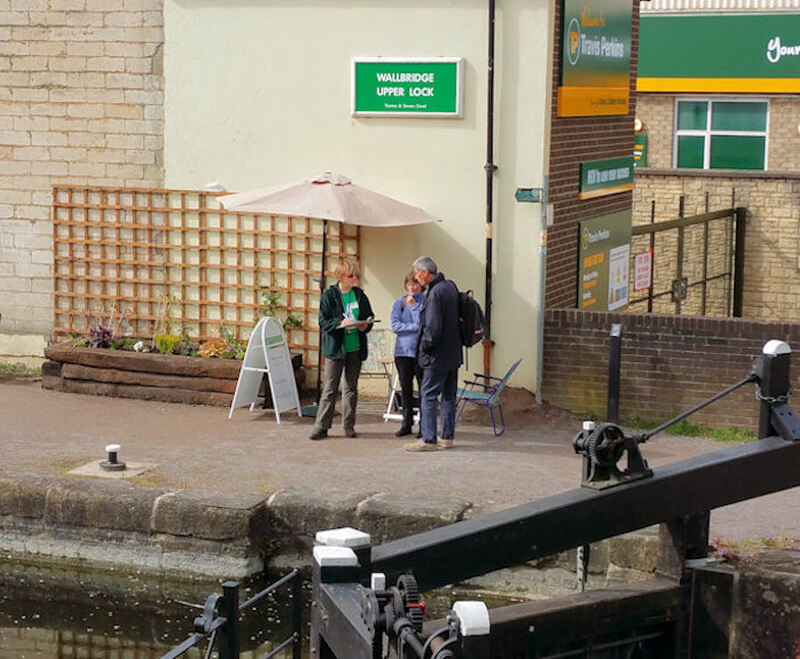 For four days during the wet & windy first week of May a team of twenty-two Cotswold Canals Trust Volunteers have been talking to more than 1,500 people on the towpath between Stonehouse and Brimscombe. The varied weather over the four day period of the survey was not always kind to the survey teams or the towpath users. Val Kirby is photographed during a sunny Sunday morning. 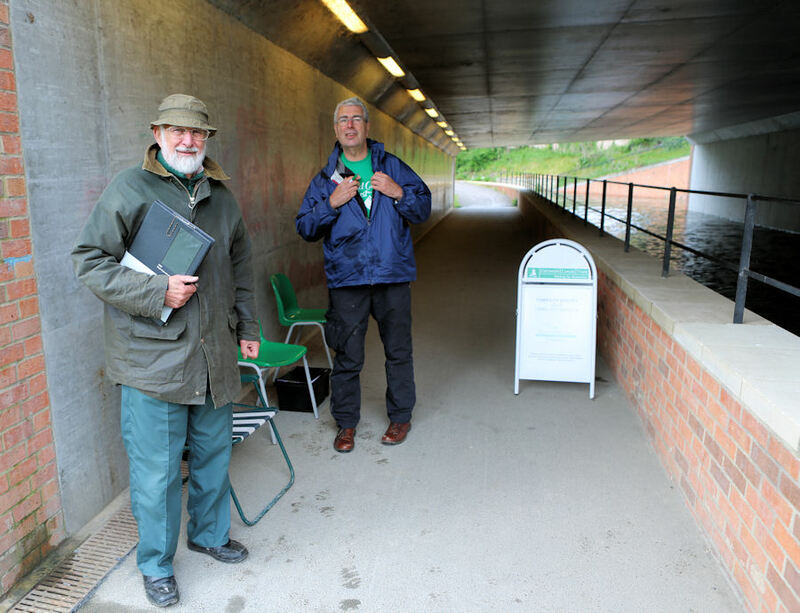 John Clissold and Steve Pickover took shelter from the showers beneath Stroud Brewery Bridge for another of the Wallbridge sessions. Whilst the detailed analysis of all the data has yet to be completed, it became clear, even before the end of day one, that there is overwhelming support for the restoration. People used phrases such as ‘Brilliant’ – ‘Good value for money’ and ‘Great for wildlife and the environment’. Such enthusiasm was tempered by some reports of cyclists using the towpath at high speeds. Some of those cyclists reportedly choose not to ring their warning bell! Volunteers continue to work on the towpath turning muddy sections into smooth and even surfaces that can be used by other wheeled personal transport from mobility buggies through to inline roller skates and children’s scooters. The message for us all must surely be…‘Slow your pace and share the space’ especially on the narrower sections. ← Towpath Users Survey – A BIG Thank you!